Since I am planning on cloth diapering this little person growing in my belly, I have been on the lookout for a good diaper detergent. I remember the funky smell of when I attempted to use tide on diapers the first time around. I eventually learned to purchase some cloth diaper friendly detergent and things went much smoother after that. This time I have more time to plan and shop around before deciding on a particular one. I was so lucky to be sent some Eco Nuts Liquid Detergent to try out. When I first opened the package I saw a metal bottle that seemed a little thin and small. But when I started inspecting the bottle I saw that you don't need very much of this stuff at all to wash a load of diapers! I have a HE washing machine, and I only have to use half a cap full. This cap is very small. I actually said out loud 'SCORE!' because it was such a tiny amount. This bottle will last me for quite some time! According to the packaging it should be around 120 loads. But the amount of loads I can get out of a bottle is not the only thing I am looking for in a detergent. When considering it I have to think about where these diapers are going to be. They will placed on my sweet baby who will most likely have sensitive skin, since it runs in our family. My second little boy had eczema pretty badly as a an infant and we had to completely change all of our detergent when he was small. So I am looking for something that will be good to use with sensitive skin and possibly eczema. 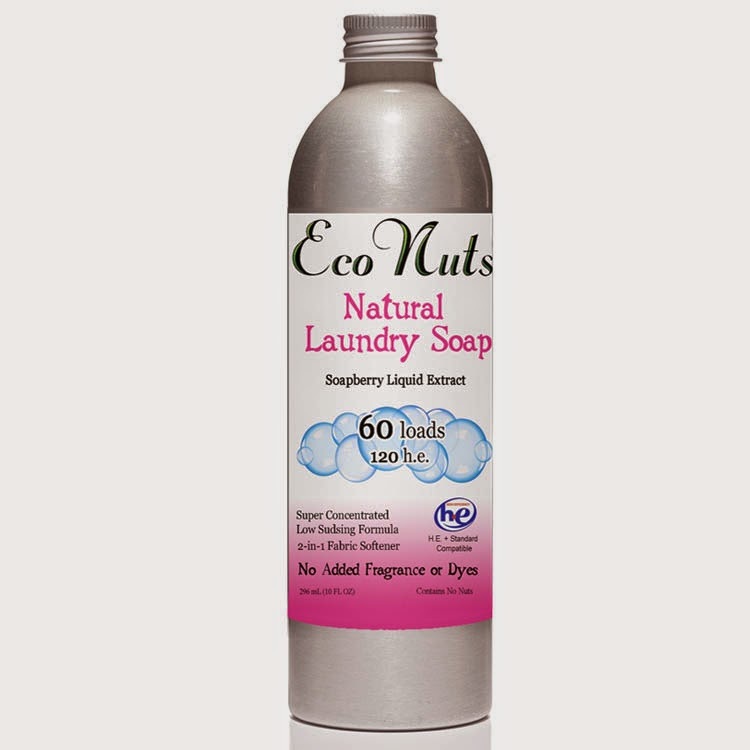 Eco Nuts is a perfect choice for all of this because this detergent is made from Soap Nuts. These berry shells contain soap naturally and the soap is very gentle on both clothes and skin. The soap is called Saponin. It does not foam up like other commercial detergents, so it is better for septic and grey water system. I love that this detergent is made from an all natural source instead of a bunch of chemicals. This detergent is also nut allergy free, because it is actually made from a berry. And this detergent is not only great for cloth diapers, it is good for all of your clothes! 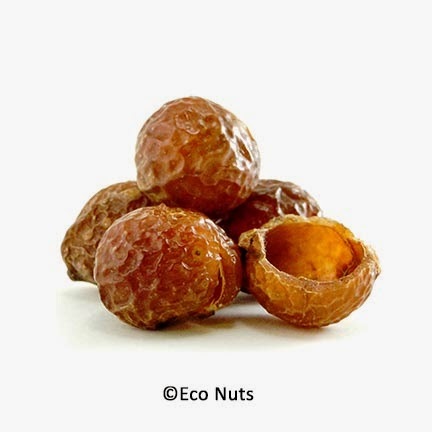 You can learn more about Soap Nuts Here and keep up with Eco Nuts on Facebook.